The elegance and greatness of a watch can not be measured by how much jewels or crystals you put into it. 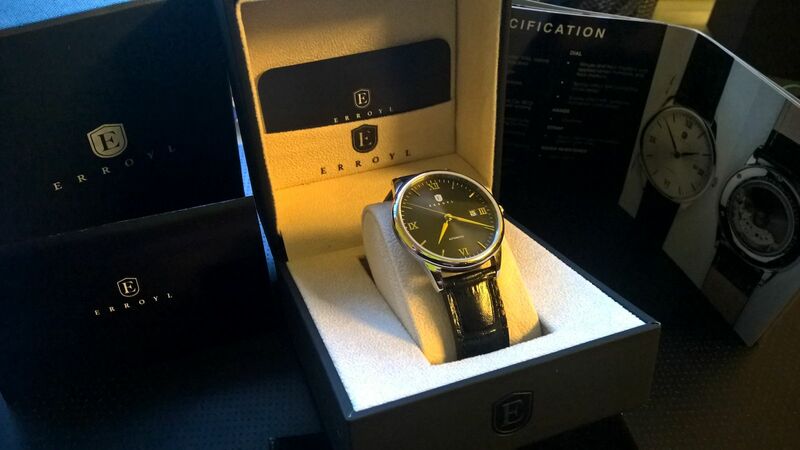 The sophistication and substance of E30 Heritage Black goes beyond the glitz and the glamour. It has a minimalist face incorporated with top-notch quality and craftsmanship that is truly grand and world-class. Case– The E30 Heritage watch evokes elegance through its 316L marine grade stainless steel case measuring 40 mm in diameter and approximately 10 mm in height. Dial– The stainless steel case surrounds the polished black dial accented with Roman numeral hour markers and Dauphine hands. A date window sits at the three o’clock position of the dial, while a sapphire crystal keeps the entire face scratch-free. 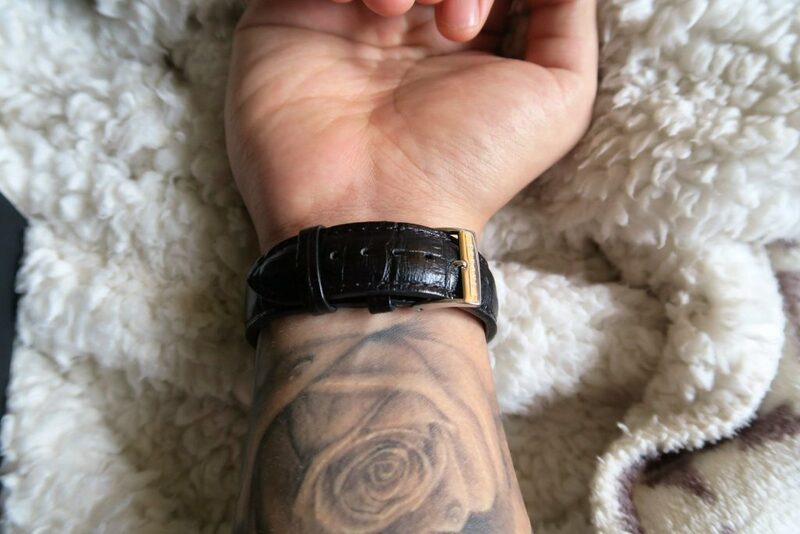 Band– Attached to the dial is a 20mm tapering to 18mm genuine leather alligator grain strap. Movement– It is powered by the automatic and hand wind Japanese Miyota Cal. 9015 movement. 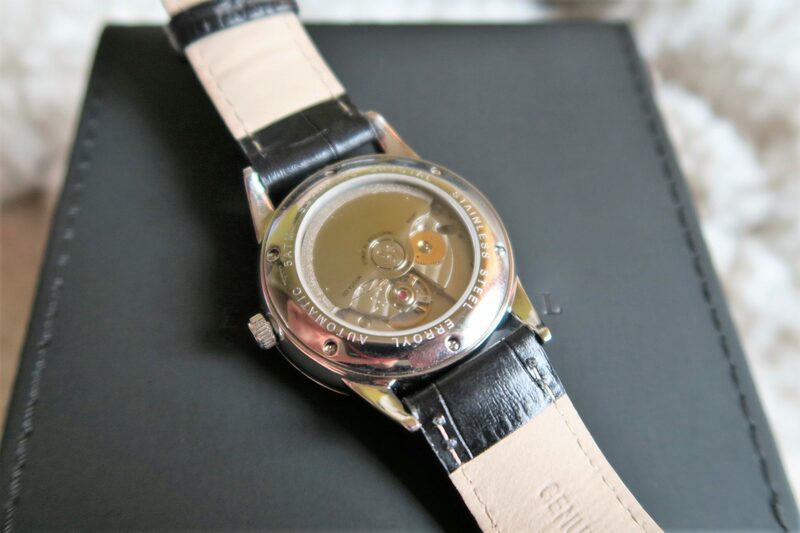 Water resistance– Moreover, this watch comes with an impressive 50 meters or 5 ATM water resistance. 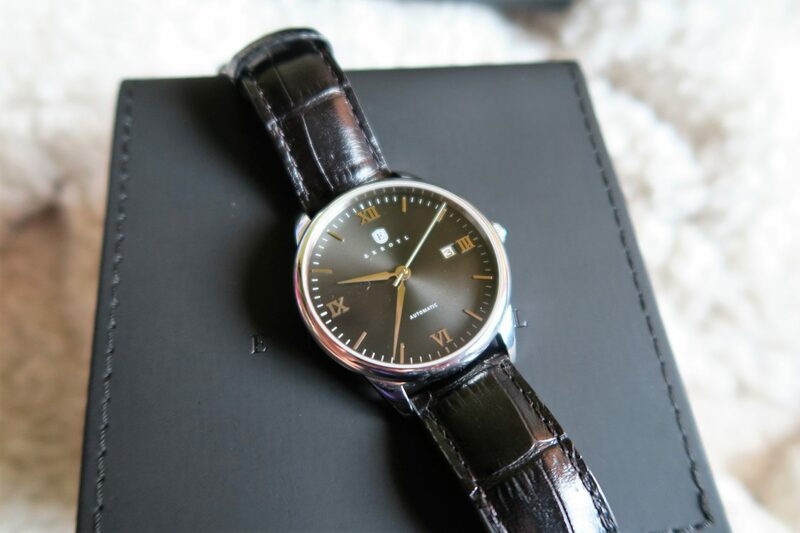 On its face lies the very masculine and elegant dial. 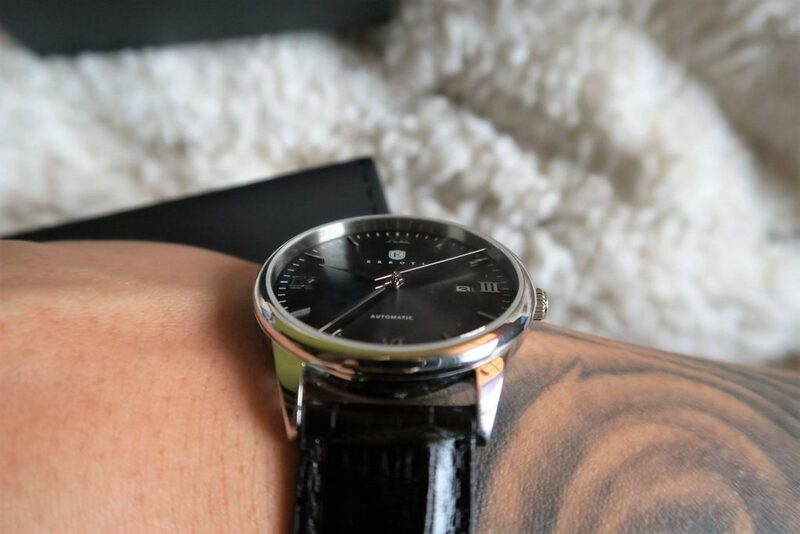 The clean black dial with Roman numeral hour markers displays how minimalism can elicit prestige and class in an effortless and distinct manner. 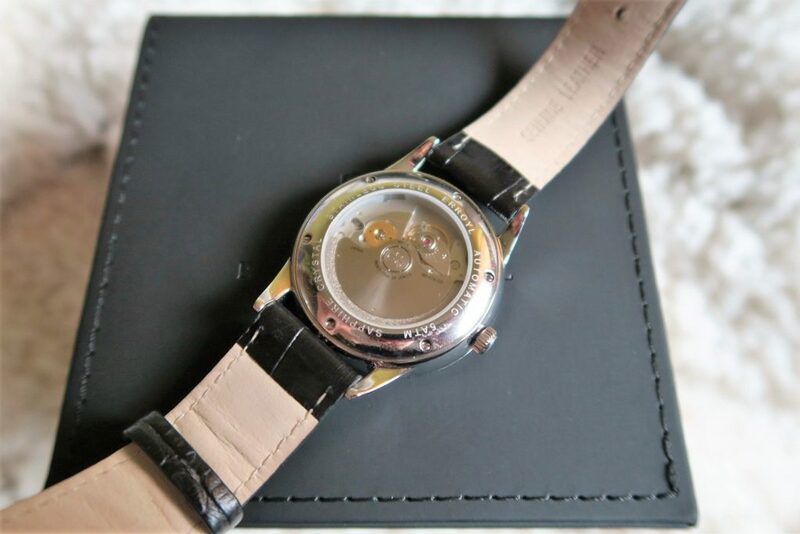 It is finished with a polished silver bezel and tasteful black genuine leather alligator grain strap. 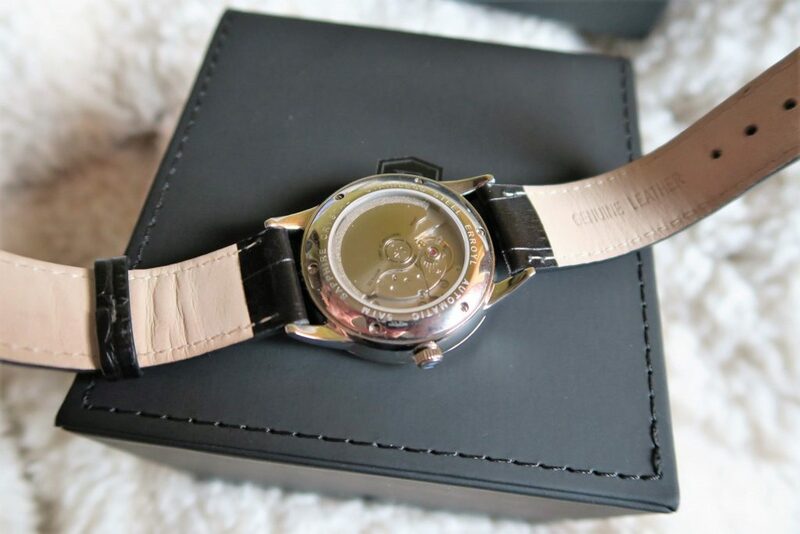 True to its name, this Heritage watch is a timeless piece that overcomes the emerging trends in fashion. It will hold and leave a legacy of its own as a sophisticated watch that defines no boundaries as to who can wear what. 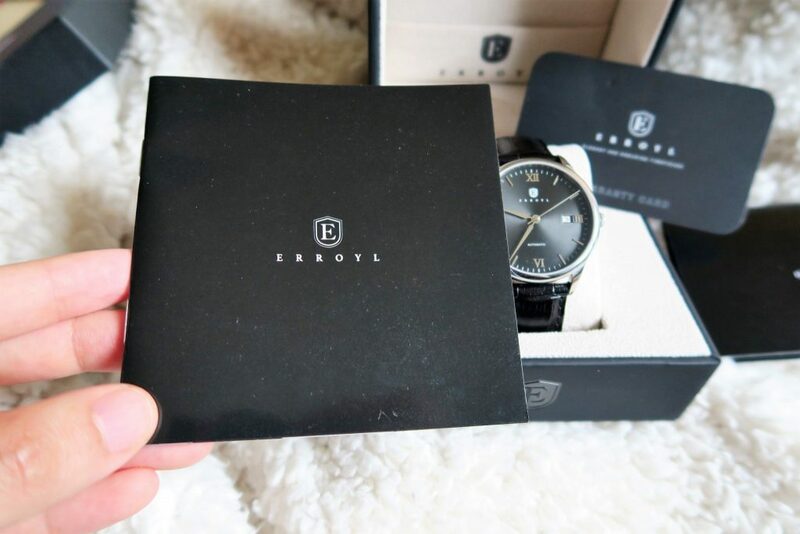 This watch is about bringing pure elegance to everyone. 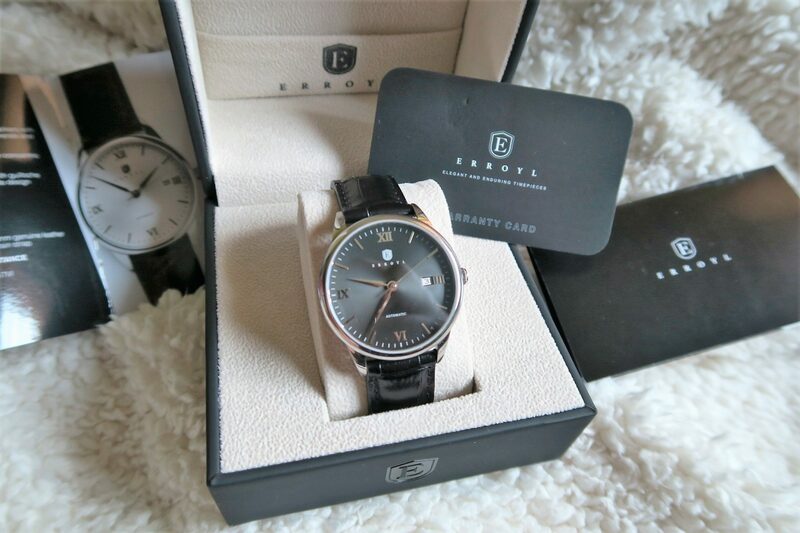 With the gorgeous face of this timepiece comes another imposing feature- versatility. 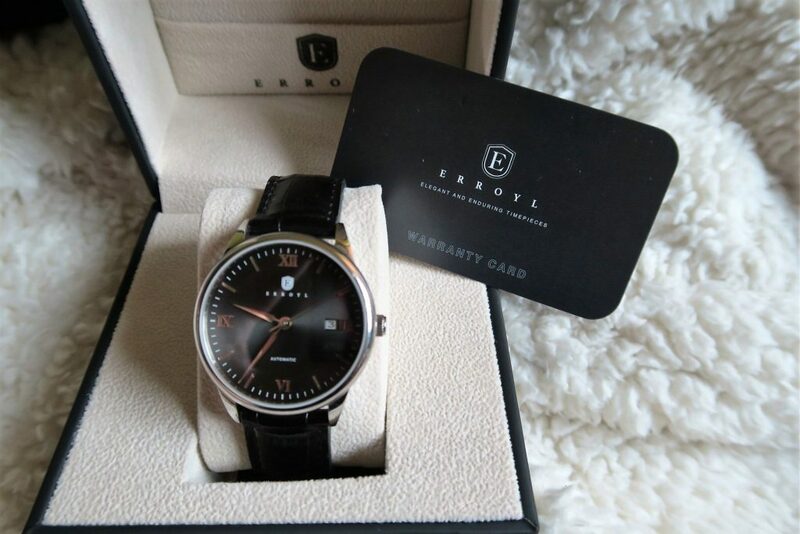 Take this watch from social to formal occasions and you will discover why. 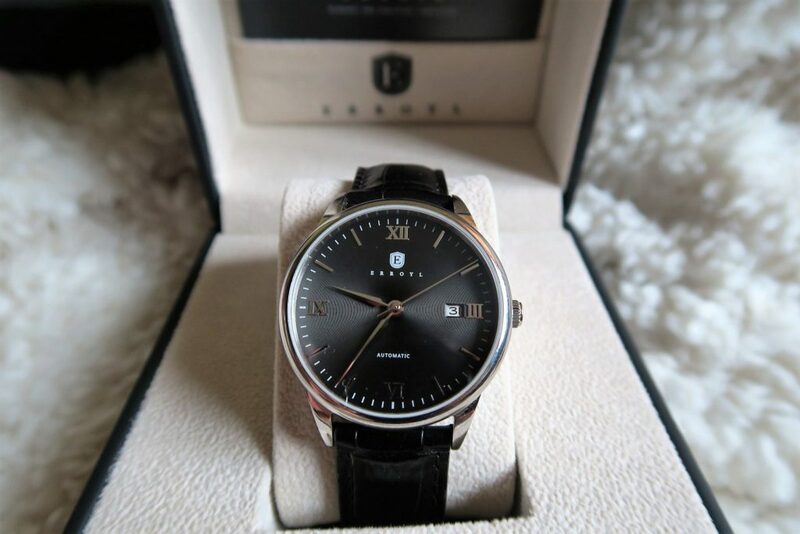 This watch is a natural talent because of its aesthetic appeal. 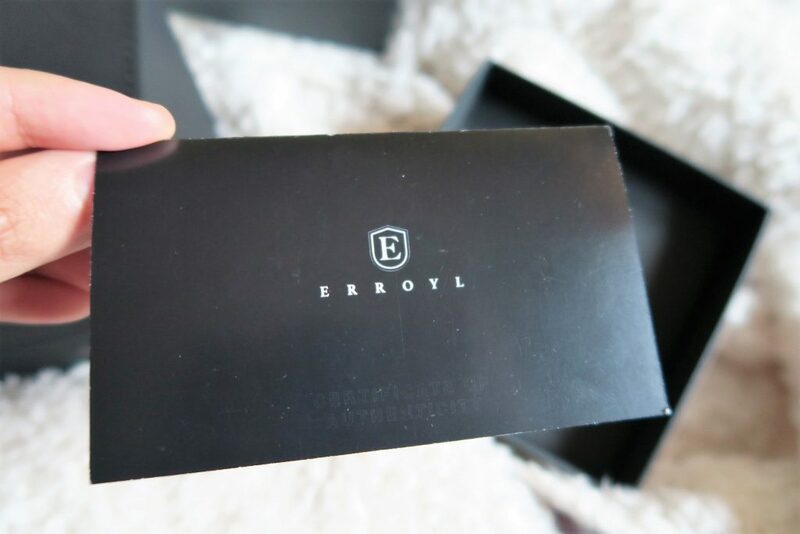 The E30 Heritage Black is effortless in bringing any wardrobe mix and match to a new level. The design of the watch, while elegant and fashionable, does not make you overdressed or underdressed. 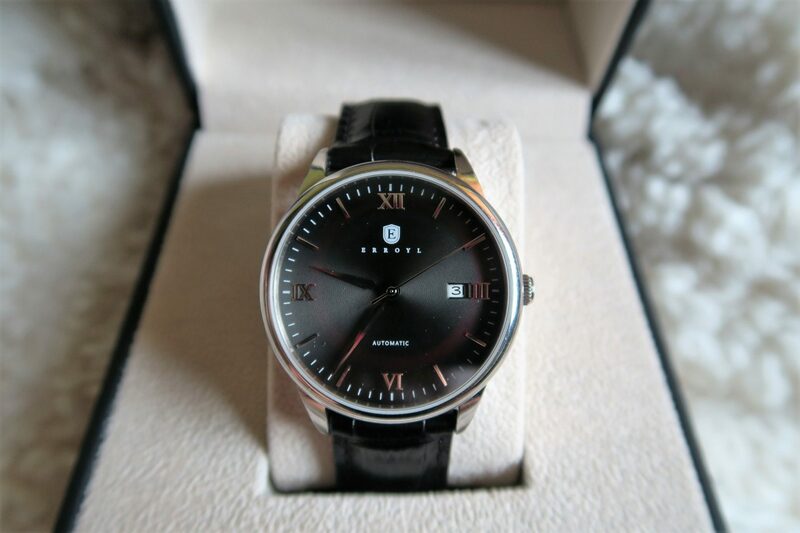 Whether in suit or in casual clothes, this watch will not go out of style. 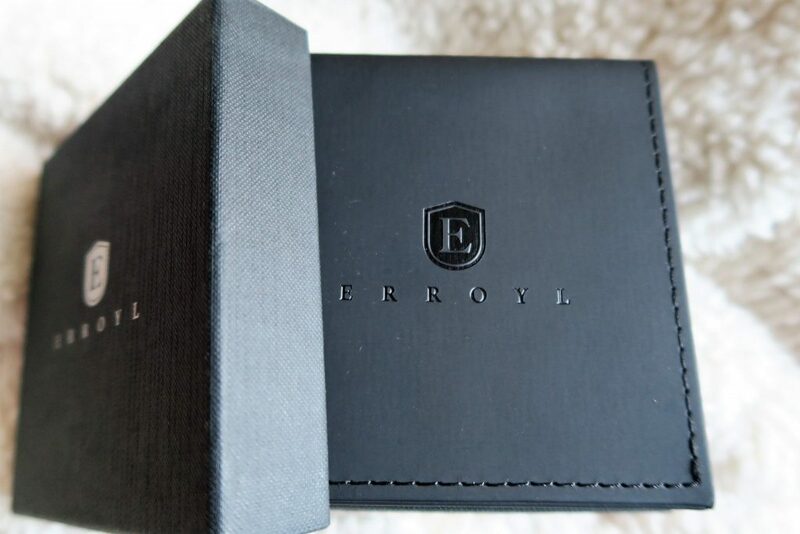 Its black color is a sensible addition to the reason why it is highly versatile. 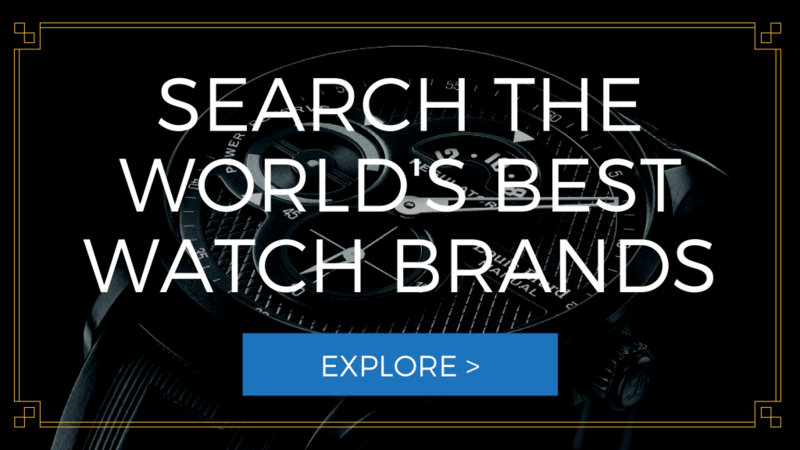 A first-rate timepiece is not only a victor in aesthetics, but also in durability. The longevity of a watch is the measure of how much dedication a watch has to its purpose. 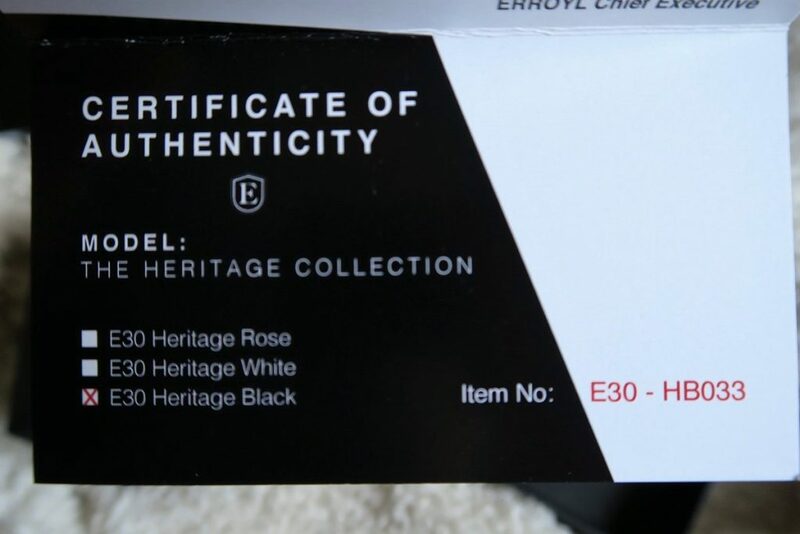 E30 Heritage Black is no different. It is crafted with a durable genuine leather alligator grain strap, which is relatively more comfortable and easy to clean. 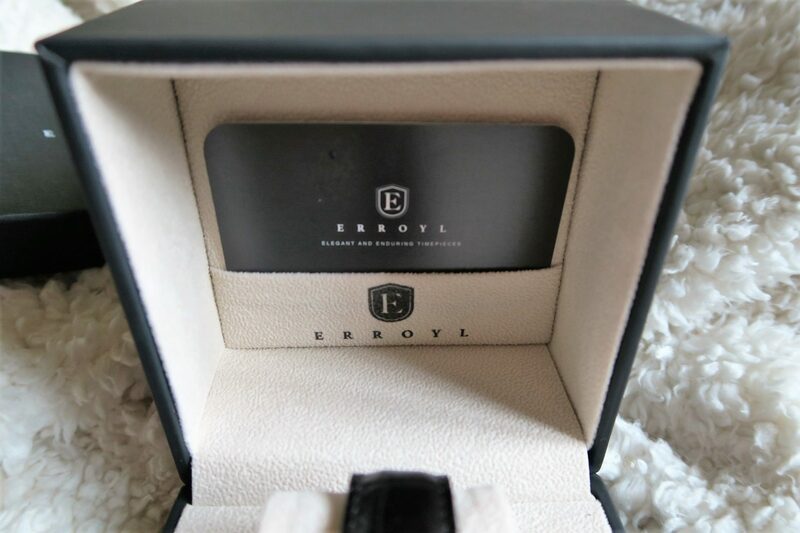 The case is also protected by flat scratch resistant sapphire crystal not only on the face but also on the exhibition case back. It means going beyond what people normally see. 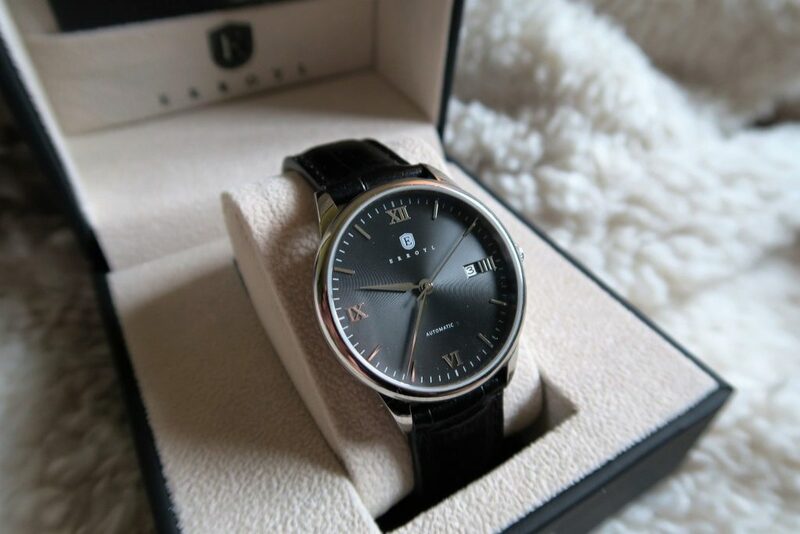 And of course, because this watch is a versatile one, it has to be water resistant. That’s not a problem, because it has an excellent water resistance of up to 50 meters or 5 ATM. Apart from its style and durability, this watch is likewise built with extra functions to make timekeeping more convenient. It has a date counter at the three o’clock position to remind you of the important dates. 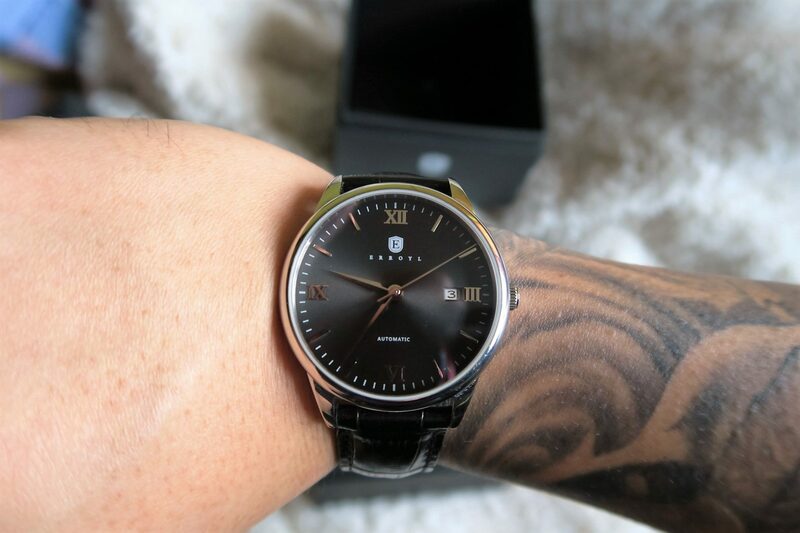 Also, Heritage black features a 42 hour power reserve to keep this automatic watch working. 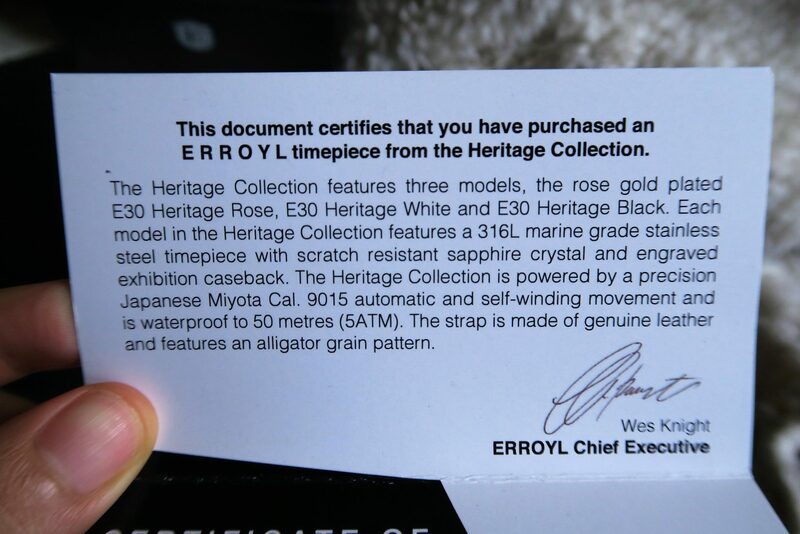 The ERROYL E30 Heritage Black has also some disadvantages. First, since this watch is automatic, it has to be worn everyday to keep it running and tell time with accuracy. 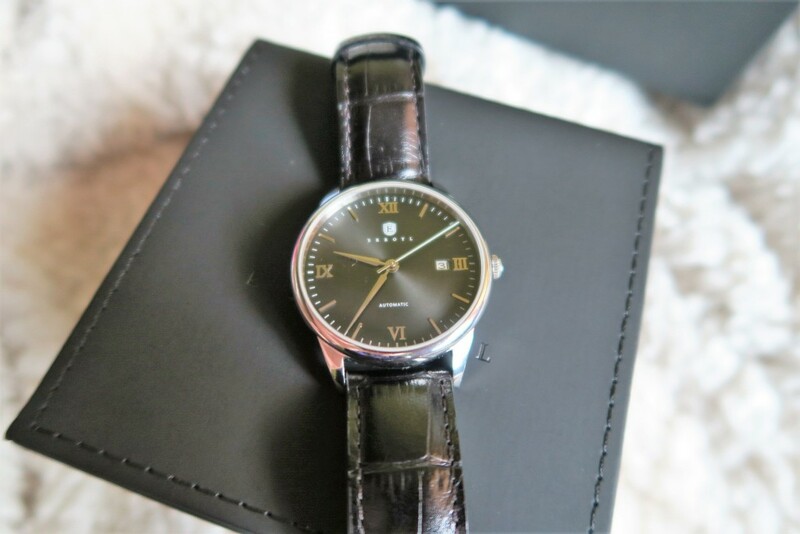 This can be a problem if you do not or if you have no plan of using this watch everyday. 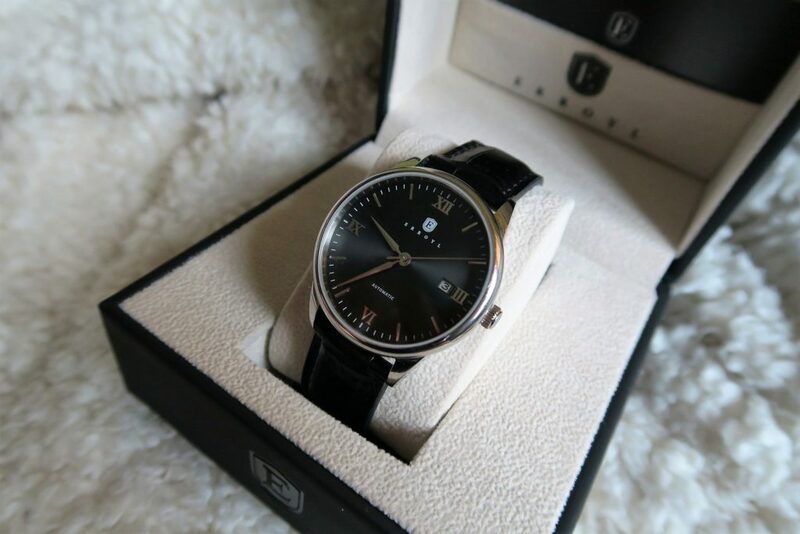 Another disadvantage, this watch is relatively more expensive than other watches of its kind. 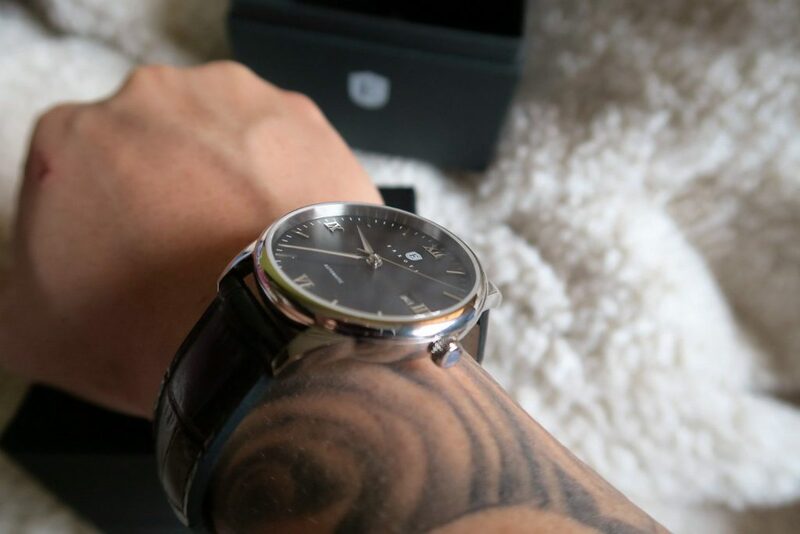 However, it should be noted that this watch is built with elegant design, functionality and durability- some of the reasons why this watch costs more than others, but definitely worth the every cent you spent for it.